-Boil the cauliflower until it is half cooked. -Blend the garlic, red chilli, ginger puree and 100grams of onion together until its form the paste. This is your homemade ,creamy , velvety chilli paste. -Put the rest of onion and coconut oil into the frying pan. Then gently cook until the onion turns translucent. -Put the curry powder, cumin, cinnamon, coriander seeds, garam masala into the same frying pan. Gently fry the onion and spices together for approx 2 minutes. Add a little water if needed. -Stir in the chilli paste and cook for further 3-4 minutes. -Add the cauliflower into the same pan and gently fry until the cauliflower slightly soften. -Pour in the coconut milk, tomatoes puree, sugar, coconut sugar and salt. Bring it to boil then simmer for further 10-15 minutes. 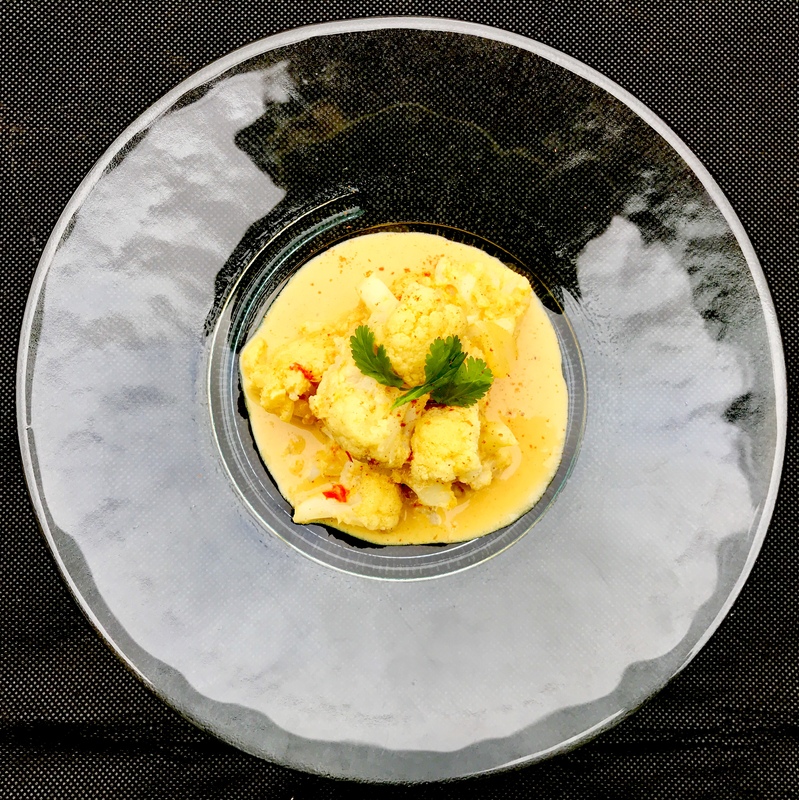 – Garnish this Vegan Cauliflower Curry with the coriander leaves and sprinkle with the paprika powder. And serve immediately with Thai jasmine rice. -Keep close eyes on the pan whilst frying the dry spices, as they are easily burnt. Add a little water if needed. -Not in the curry mood! Transfer the curry into the ovendish. Sprinkle with the grated cheddar cheese and put it in the 200-Celsius oven for 25 minutes. 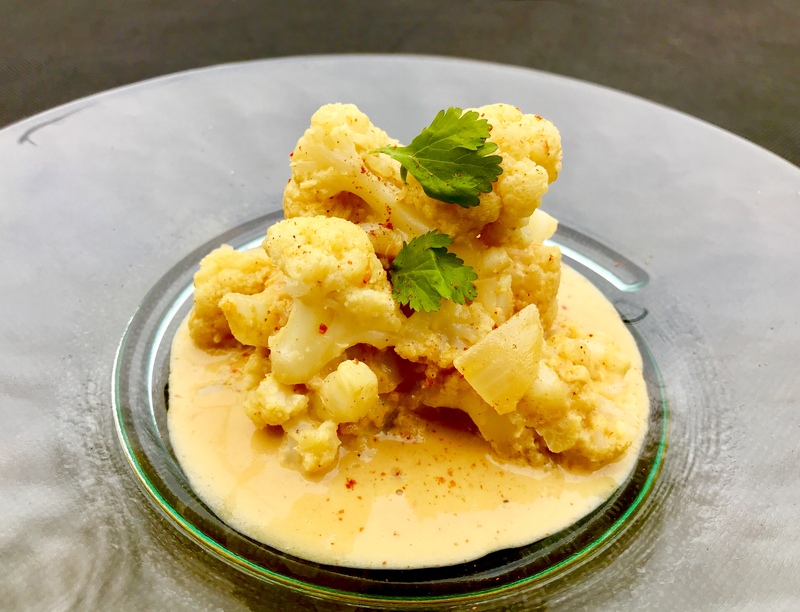 Enjoy a Vegan Cauliflower Curry Cheese with the twist.